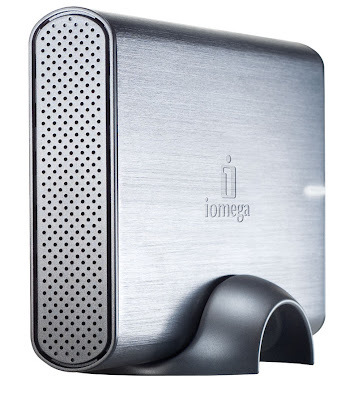 This Iomega Prestige USB 2.0 supported external hard drive has a storage capacity of 1TB which is equals 1024 GB. This is some serious amount of space for PC users and is absolutely great for scheduled data backups. It gives you the ability to store up to 4 million photos, up to 18,500 hours of music and 1500 hours of high quality video file. This is more than enough unless you have been stocking movies for decades. Not to mention this sizable memory can store millions of computer document files and spreadsheets. The external memory drive supports USB 2.0 which mean it can be plugged in to any computer USB port and it does not require any driver installation and works well with both Mac and PC. With USB 2.0, this hard drive will be able to transfer data to and from your computer at a rate of 480 Mbps. This external drive has an internal or spindle speed of 7200 rpm with 8 MB or higher cache buffer. This is more than reasonable for keeping your browsing latency-free and will also not keep you waiting while accessing your hard drive via USB cable. A device that runs at 7200 rpm will generate a noticeable sound but its durable aluminum casing keeps it quite as compared to other external hard drives. Just like other hard drives, this drive also becomes hot when in operation so for keeping it within working temperature limited and for proper ventilation of heat, various pores are designed on the side of this drive which do a really great job in keeping this device cool. Also the aluminum case aids in dissipating heat and acting as a heat sink. This Iomega 1TB hard drive is enclosed in a stylish aluminum case which has a brushed metal finishing and it looks great when placed on a table next to your computer. This backup drive also comes with a stand which will enable the user to either place the drive horizontally for vertically.